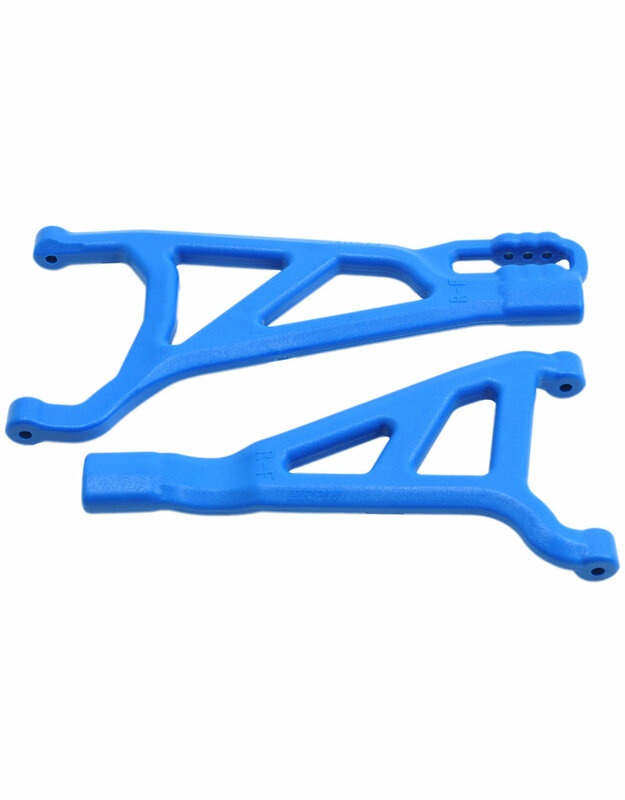 While Traxxas may have beefed up the Revo 2.0 suspension arms, they're still not nearly as tough as RPM versions, nor are they as light. RPM A-arms weigh in 5 grams less than stock, per side, for a total weight loss of 10 grams! RPM geometry also has its advantages. The angled leading and trailing edges not only cut through the air cleaner and more efficiently, those same edges allow the A-arms to slip up and over tall objects with less chance of a direct impact stopping you in your tracks! 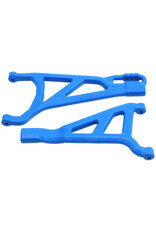 RPM front A-arms for the Traxxas Revo 2.0 are molded from indestructible blend of engineering grade nylons and sold as one upper and one lower A-arm. All RPM A-arms are manufactured in the USA and carry with them a limited lifetime warranty against breakage.